Iris recognition refers to the automated method of identifying or confirming the identity of a subject by analyzing the random pattern of the iris. Iris recognition is relatively young, being only commercially developed the last decade mostly due to previous patent limitations. We have carved a niche amongst the most dominant names in this domain, presenting Iris Recognition System to customers. 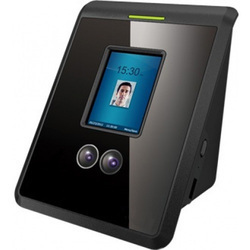 At our vendors end, sharp edge technology and quality material is used in designing of this Iris Recognition System. This product is tested on various qualities before dispatching to the market.